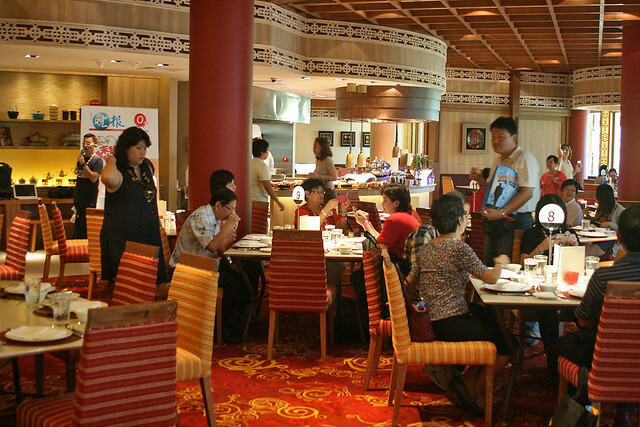 For the second leg of his Gourmet Food Trail, veteran food columnist Ah Lun brought us to Shangri-La. 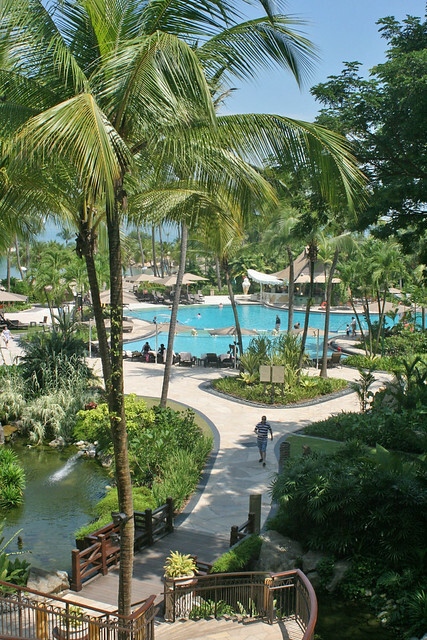 It's the Shangri-La Rasa Sentosa Resort which has just undergone an S$80m makeover. The staff here greeted each and every one of us with a garland of sea-shells. There were quite a lot of us. We had just come over from Teochew Restaurant Huat Kee (see part 1) on two chartered buses. 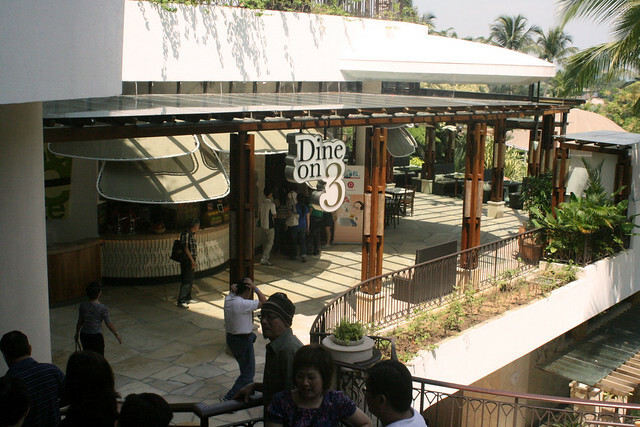 The F&B outlets here are now clustered together as a group concept called Dine on 3. 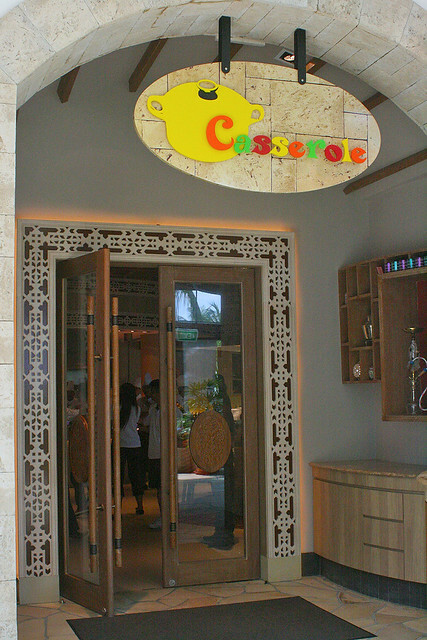 There are three eateries - Casserole (which serves casserole-based dishes from various parts of the world), Silver Shell (the buffet zone), and 8 Noodles (a casual and affordable noodle joint, with prices starting from S$8). And there's a bar too, called Bubble Bar. We went to Casserole. The dishes here are served in sharing portions, so it's perfect for families and groups of friends. 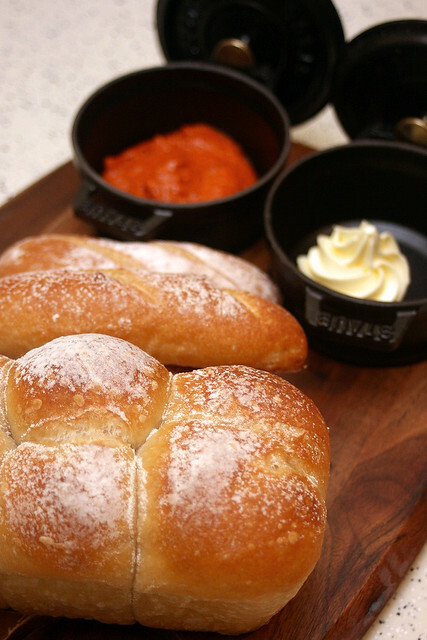 Casserole Specialty Bread, served with Mohamara Dip and unsalted butter. Such beautiful loaves and mini baguettes - just use your hands to tear these apart. 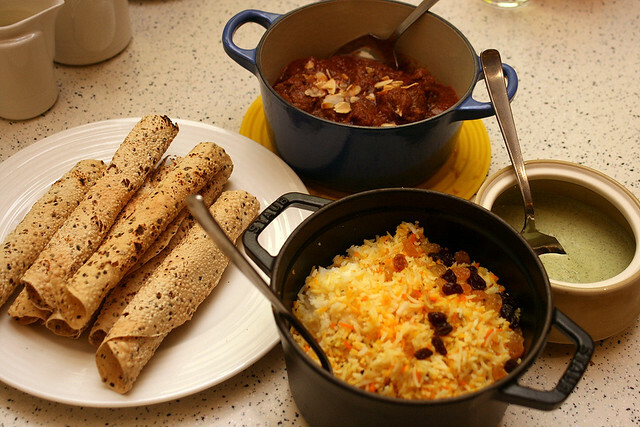 The Mohamara dip is something different from your usual bread dip. It's not as spicy as it looks, and has the gentle sweetness of red peppers. 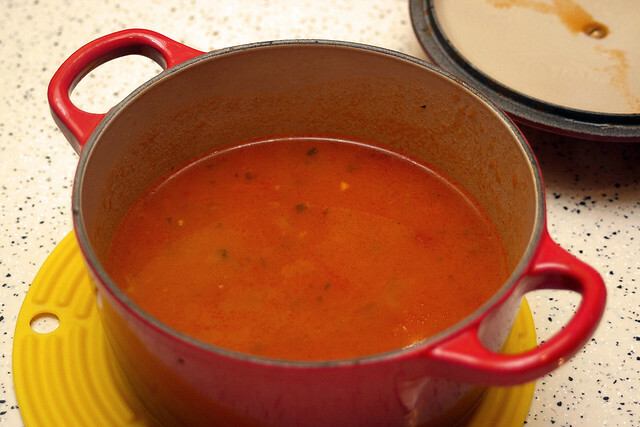 Moroccan Harira - this tomato-based lentil soup is pretty much the national soup of Morocco. To me, it tasted like minestrone, but with spices. The restaurant is really warm and cosy, atmosphere-wise. Ah Lun and his assistant Xiao Peng continued entertaining us with games and food trivia throughout the meal. 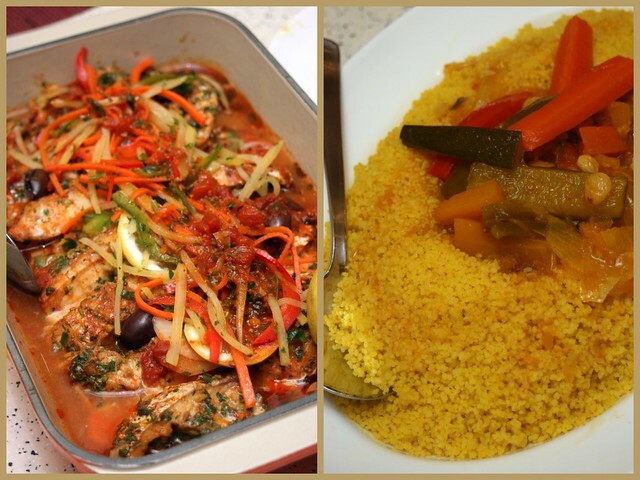 Moroccan Baked Fish - whole fish tempered with fresh herbs and served with tomatoes, potatoes and Charmoula sauce, served with couscous. The surprise dish here was a bowl of wantan noodles in soup. While it may seem humble compared to the suckling pig at Huat Kee's, this was a real delight in itself. 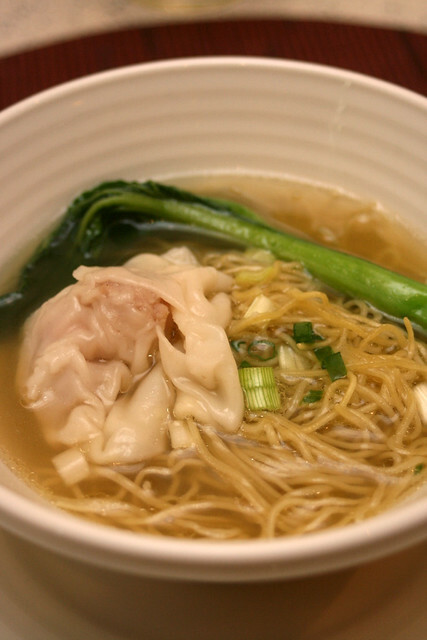 The broth is so delicious, the shrimp wantan huge, and the QQ noodles are almost like those bamboo-pressed noodles found in Hong Kong. I gather this must be from 8 Noodles. If so, that's definitely a place worth checking out in future. Gost Rogan Josh Kashmir - lamb braised with ginger, garlic, fennel and green cardamom. Served with beautifully fluffy pilaf rice, bitingly peppery papadum and a mint sauce. I love lamb/mutton dishes, but this was quite an unusual version of Rogan Josh for me. We weren't finished yet. 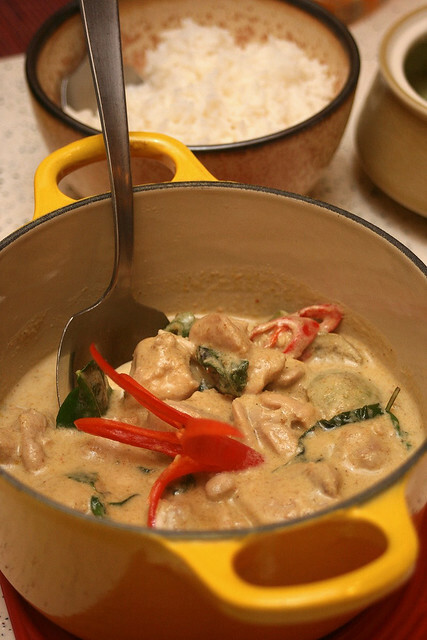 Gaeng Keaw Gai - Thai green curry chicken. I preferred this to the lamb, but my friend Darren preferred the lamb to this. The kitchen band! 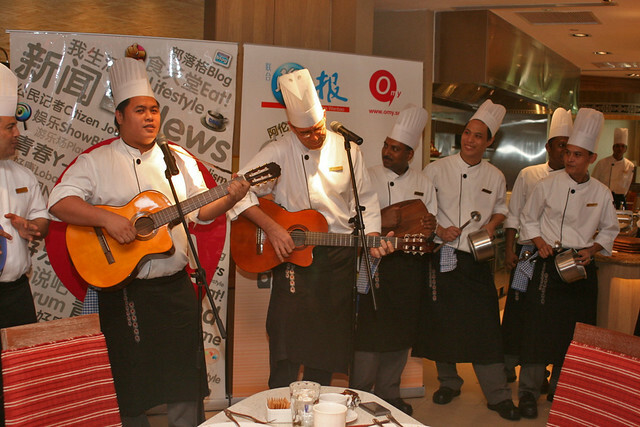 Looks like the chefs are not just cooks but also avid musicians! That's so cool! I really enjoyed their rollicking performance. 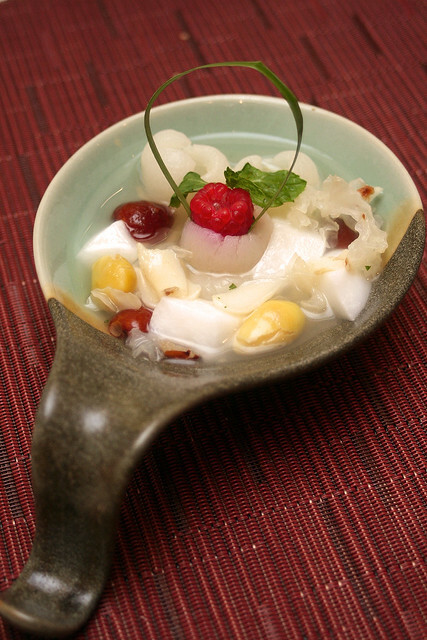 Dessert was a nice chilled longan tofu with snow fungus and ginkgo nuts. The perfect thing for the warm weather we've been having! And so ended the finale for Ah Lun's Gourmet Food Trail (Series 5). Look out for more of his tours, as he holds them about twice a year, now with Lianhe Wanbao and OMY.SG. He adds such energy and enthusiasm for these outings, as a passionate foodie. Thank you, Omy.sg for the invitation to experience this gourmet tour! What an array of exotic cuisines! The happy singing chefs also make me wanna go to this place. I've never seen that in any Singapore restaurant! All the dishes look fantastic and they sing as well! !